Students are being honored as heroes, for safely bringing their school bus to a stop and administering first aid after their driver collapsed from a medical emergency, reported the cbc.ca. 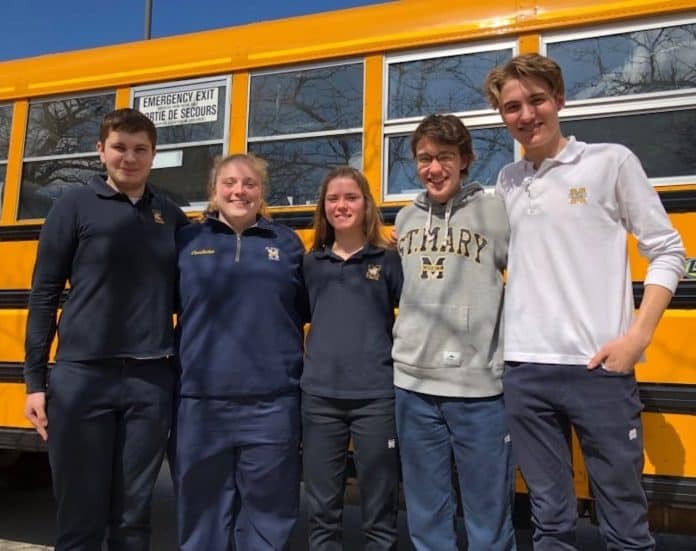 Students from St. Mary Catholic Secondary School in Hamilton in Ontario, Canada, were enroute to school when the driver started having convulsions. It was later realized that he was having a seizure, the article reported. The driver had his foot on the brake and the bus started veering off the road. One student, 15-year-old Aidan Gilmore, who had never driven before, was able to safely drive the bus off to the side of the road. Other students, Keven Brennan, 17, and 16-year-olds Logan McCorquodale, Rachel Watson and Kennedy Couture, rushed to check on the driver and call 911. Meanwhile, McCorquodale was able to pulace the bus in park and turn off the engine. The driver was reported to be okay and was taken to the hospital for tests.